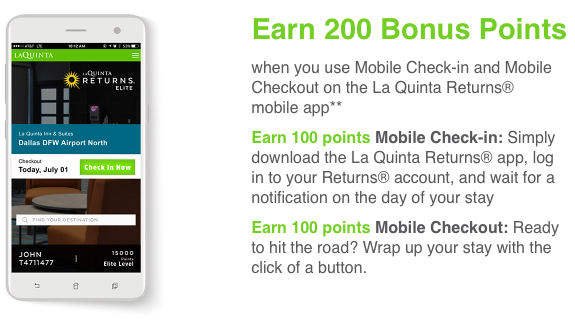 Earn 100 points for mobile check-in and 100 points for mobile checkout. Maximum 1,000 points per calendar month. Find more La Quinta Returns bonuses here.